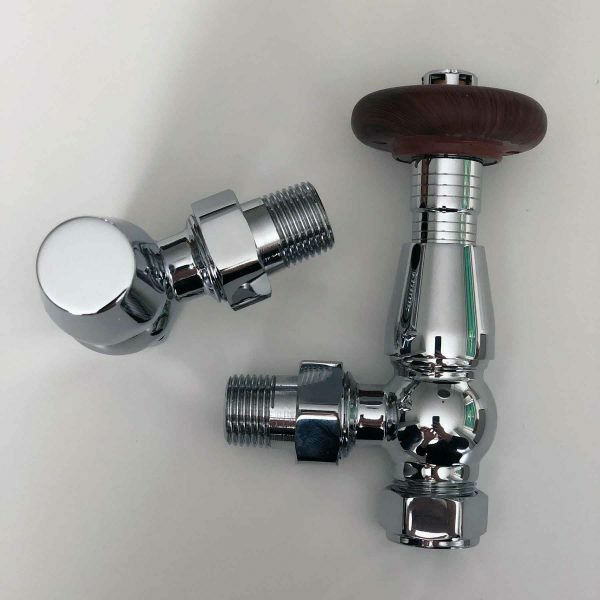 These traditional style thermostatic radiator valves are made from chrome plated solid brass. 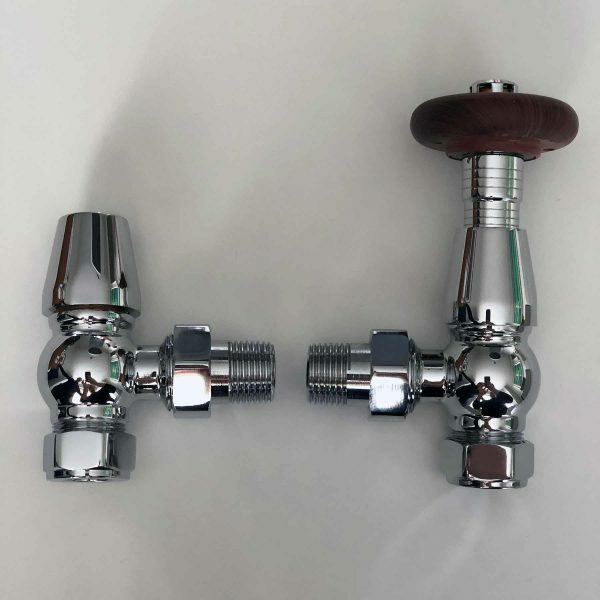 Finished to the highest standard, they’re perfect for any traditional style radiator or towel rail installation. 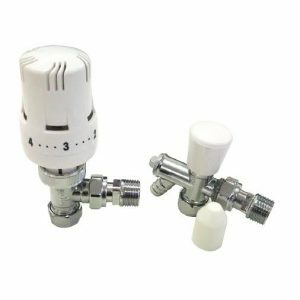 Cleverly designed to disguise that they’re thermostatically controlled, the temperature is set by noting the position of discreet engraved lines on the valve body, allowing them to retain a period look. 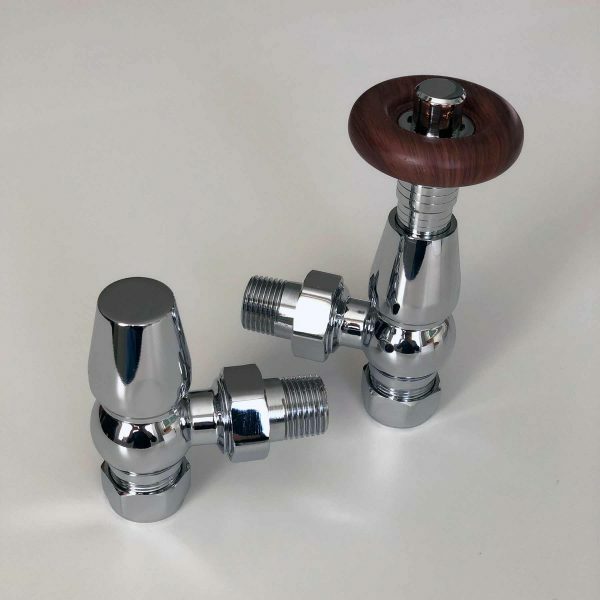 The wood effect turn ring is durable and easy to keep clean. 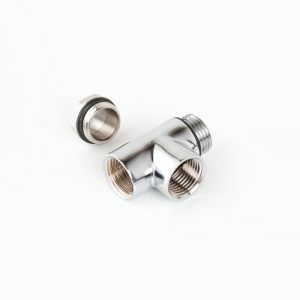 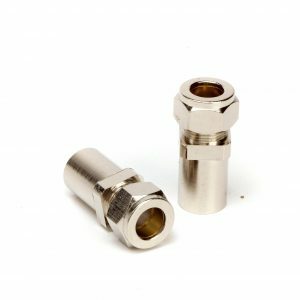 They’re designed for use with 15mm pipework and fit to ½” BSP connections. 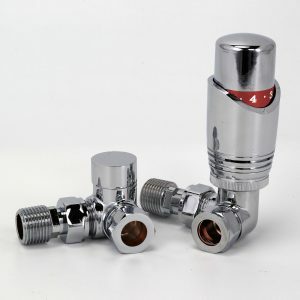 Select an appropriate pipe reducer to easily use with 8mm or 10mm pipework.